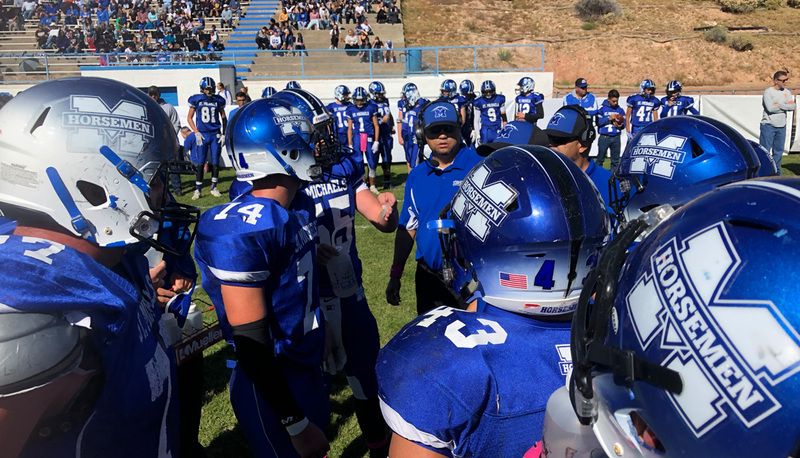 The Monarchs advanced to the quarterfinals after beating Rio Rancho 40-14. 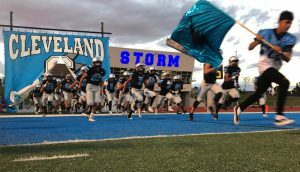 Now the defending state champs face their toughest test of the season as they take on the top ranked Storm. Cleveland is without star running back Dorian Lewis who suffered a season-ending knee injury a couple weeks ago. Cleveland has scored 35 points or more in every game this season. “These are two of the hottest teams in the state, in my opinion,” said Cleveland head coach Heath Ridenour. “Manzano is peaking at the right time. 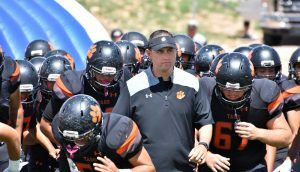 I believe their defense is one of the best in the state, if not the best,” he added. “We are playing good football right now, too. I feel like we are very diverse offensively,” said Ridenour. 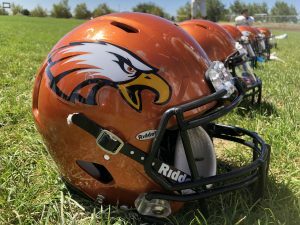 This game is a rematch of their final game of the regular season when the Hawks handed the Cougars a 35-21 defeat. Cibola will have to find a way to slow down Volcano Vista’s high scoring offense. 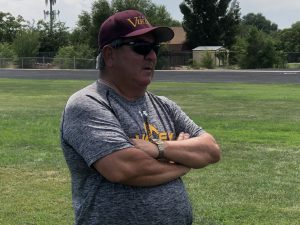 “My biggest concern is playing under control against a rival school,” said Volcano Vista head coach Chad Wallin. The Coyotes earned the top seed after beating Goddard in the final game of the regular season. 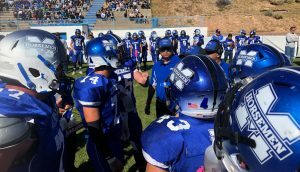 The Vikings made their return to the postseason last week beating Santa Teresa, 28-12. These two rivals are very familiar with each other. The Tigers beat Belen for the district title on the last game of the regular season, 35-13. This will be their second meeting in three weeks. Belen advanced to the quarterfinals by taking down Valencia 41-21 in the first round. The only 4A school the top ranked Sartans lost to this year was Aztec in a 28-24 ballgame. The Sartans have won five straight since that setback and have only given up 9 points during that span. 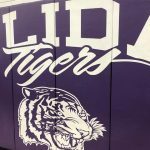 The Tigers beat Ruidoso 40-19 in the opening round. 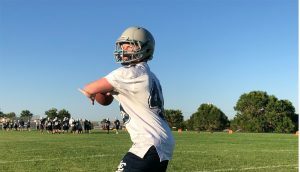 After losing their first three games of the year, Kirtland Central has reeled off seven straight wins. The Broncos are playing some of their best ball in years. Kirtland Central beat Bloomfield a few weeks ago, 26-14. Both teams have similar styles on offense and defense. 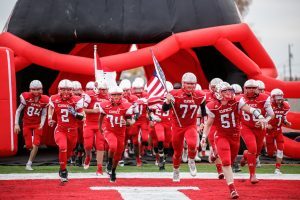 The Bobcats are coming off a 26-12 win over Moriarty last week. 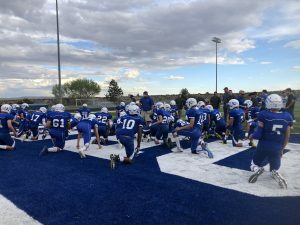 “Getting the opportunity to play one of the elite programs in the great state of New Mexico at that awesome venue is a blessing,” Lovington coach Anthony Gonzales posted on social media. The Rams are coming off a bye and Grants got by Silver last week 14-7. The Pirates have used multiple quarterbacks this season. “I believe we are 2 similar teams that match up in both size and speed,” said Portales head coach Jaime Ramirez. “We both run the spread offensively and defensively we run a 3-3 and they run a 4-2-5. 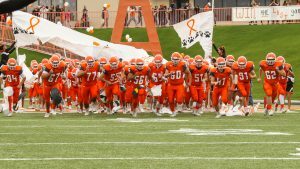 Defensively they are extremely aggressive and tough.” Portales won it all in 2016. A little rust might be a factor for the top ranked Huskies. Hope hasn’t played a full four quarter game in over a month. The 10-0 Huskies have only given up 26 points all season, and 21 of those were in one game. Tularosa advanced to the quarterfinals after edging out Zuni 22-20 last week. The Demons beat the Bears once already this season 35-6. 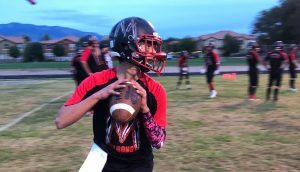 Dexter is coming off a first-round bye while Hatch Valley beat NMMI in the opening round 44-21. These two teams squared off a couple weeks ago with the Lions winning a road game 22-7. This rematch is for a trip to the title game. Fort Sumner/House claimed the 2A title last season. Santa Rosa hasn’t won a state championship since 2012. Top ranked Gateway Christian has one blemish on their record this year, a 38-36 loss to Melrose on October 19th. The Warriors have an opportunity to even the score with a trip to the championship on the line. Melrose is still on track for a fifth straight state title. The last team other than Melrose to win an 8-man football championship was Gateway Christian in 2013. These two squared off for the 8-man title back in 2016. 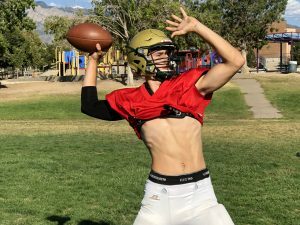 Mountainair lost in the 8-man final last season and they are looking for a return trip to the title game. Tatum is Mountainair’s only loss this year. Tatum took it to them in week two, 57-16. 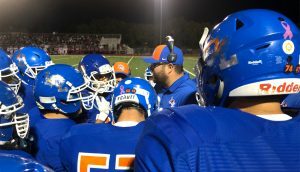 The Coyotes are 8-2 with their only two setbacks coming against Gateway Christian.